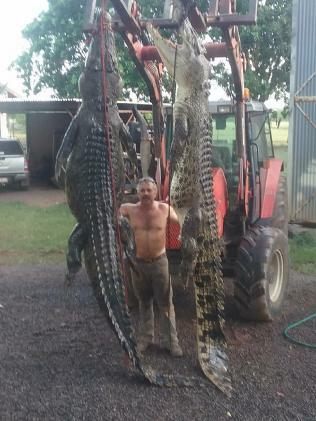 A COUPLE of monster crocs who had taken to eating cattle at Annaburroo Station - 100km southeast of Darwin - have been caught. The two crocs were so big they had to moved around by a tractor. The beasts were caught by Triple C, Crocodile Catching Contractors owners Roger Matthews and Michael Phillips. Mr Matthews who has been croc farming on and off since 1988 said the crocs measured 4.3m and 4.45m and were holed up in a dam together. They were caught on Boxing Day. 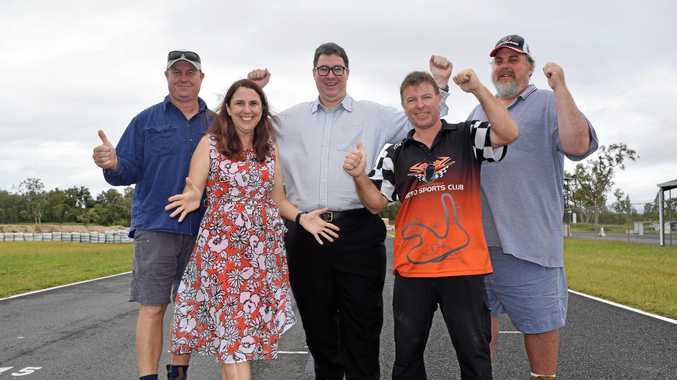 The beasts have been named after Mr Matthews two mates Gobbo and Croco, who bailed from helping him catch the crocs after a big Christmas Day. Mr Matthews uses a special hook to agitate the crocs and get their heads above water before putting a noose around their snout. "It's a procedure, but if you've never done it before it would probably look a little bit terrifying," he said. He said it wasn't too uncommon to see two large crocs together as it often took several animals to tear the cattle apart. As it is illegal to catch and release a croc, and with no farm wanting them Mr Matthews euthanased the animals. He said the skin would be turned into leather and the skulls processed and sold.